Heat olive oil in a large nonstick skillet over medium-high heat. 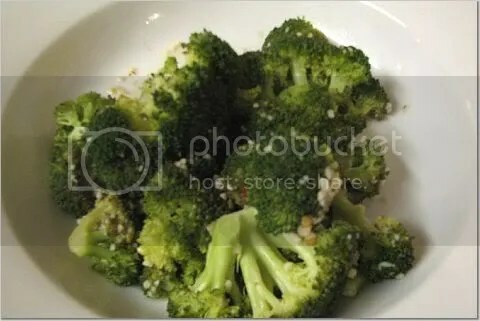 Add broccoli, kosher salt, crushed red pepper, and sliced garlic. Sauté 2 minutes. Add 1/4 cup water. Cover, reduce heat to low, and cook for 2 minutes or until broccoli is crisp-tender.